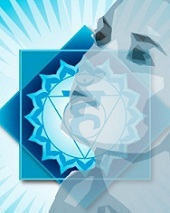 The Throat Chakra is our communication center. The location is found at the bottom of the neck. The purposes of a healthy Throat Chakra are: Learning to take responsibility for our needs, Becoming clear between what is right & wrong for ourselves, Finding our authentic truth, and then SPEAKING UP. A balanced Throat Chakra also includes: Expressive, Charismatic, Good Listener, Clear Thinking, Independent, and Assertive. An imbalance Throat Chakra includes: Shyness, Stuttering, Tension Headaches, Sore Throats, Tonsillitis, Toothaches, Neck Pain, Thyroid diseases, and Anxiety attacks. The colors that vibrates with the Throat Chakra are the sky blues. The gemstones are Chrysocolla, Lapis Lazuli, Blue Lace Agate, Aquamarine and or any of the blue gemstones that resonate with you. 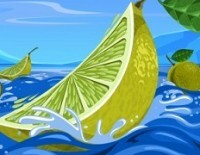 All the tart and tangy fruits such as: limes, lemons, grapefruit and kiwi are excellent for the Throat Chakra.